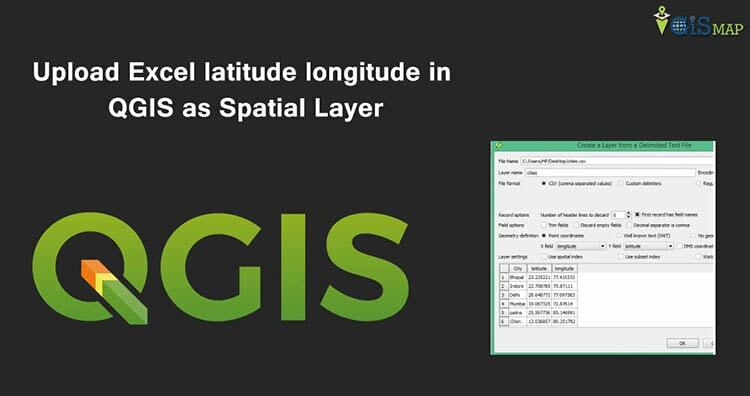 Upload Excel latitude longitude in QGIS as Spatial Layer and save as Shapefile. 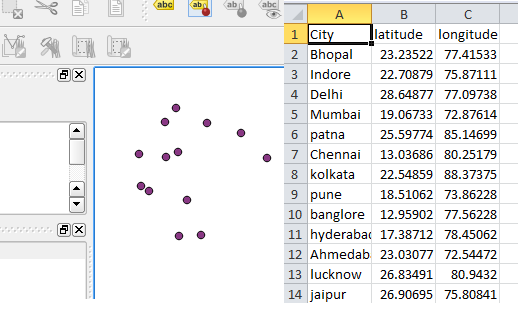 When you have collection of point data i.e latitude and longitude, stored in Excel file in different column, then you can easily view and Save it as Vector layer file in QGIS(Quantum GIS). 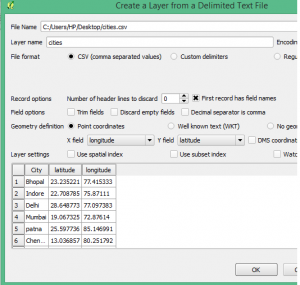 Well after uploading Excel latitude longitude values as spatial layer, you are only one step back, to convert the Excel data in Shapefile or KML or any vector file. Before starting the exercise, you need to have a data excel file, which should be convert to Comma Delimited .csv file(Depends upon your choice, Comma delimited is common). To convert Excel file in .csv file, open the file and select save as type “CSV (Comma delimited) (*.csv)”. Name the file and save it. Go to Plugins -> Manage and install Plugins, search for “Add delimited text layer“, and install it. Visit this page to see more tutorial in QGIS. You should have an already downloaded and installed QGIS , before going through this steps. 1.) 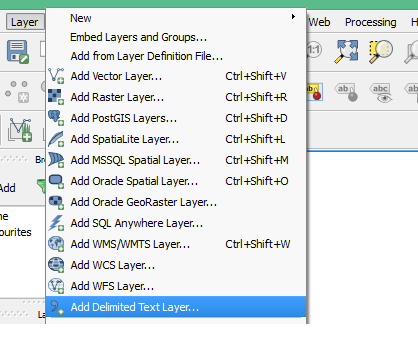 Open up QGIS and click on layer, from menu tab and select Add delimited text layer. 2.) Browse the already created .csv excel file, which has latitude and longitude coordinates. 3.) By default, if your column is named as latitude and longitude, then, X will be mapped to longitude and Y will be mapped to latitude. Select OK after mapping X and Y. 4.) 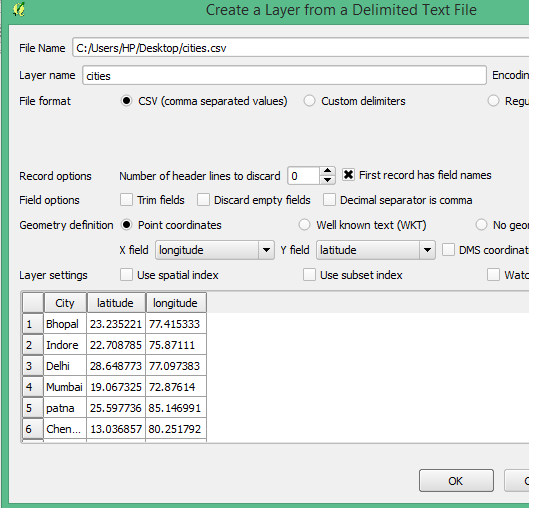 Select the desired coordinate reference system and press OK, the file get uploaded as Spatial layer in QGIS. Well if you want to convert this uploaded Spatial layer in Shapefile or KML or any other vector file, select on layer, and click on save as. In the open window, select the desired format in which you want to save the file. Done. I suppose this tutorial would be helpful to you. If you are facing any problem, then do comment below. Is there a program that will calculate the bearing and distance between a series of 30 lat long points?